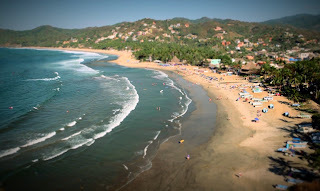 In Riviera Nayarit our luxury is surprising. In 2013, our magic attracted the attention of journalists in Brazil, who published already 49 articles on Mexico’s Pacific Treasure with an estimated value of 482.677 USD as a result of the PR efforts of the CVB of Riviera Nayarit. The Convention and Visitors Bureau endorses its commitment to work intensely to achieve the objective of attracting more tourists to Riviera Nayarit, and to distribute them along all of Nayarit in order to improve the quality of life of all our people, following the plan defined by Governor Roberto Sandoval Castañeda. “The articles promoting Riviera Nayarit have an estimated value of almost half a million USD, and in turn have been obtained through PR efforts at a low-cost, since we only had to pay for Scritta, our PR Agency in Brazil”, said the Managing Director of the CVB, Marc Murphy. O Popular, Folha de Alphaville, Jornal de Pampulha, O Hoje, JBA, Jornal Jundiaí, Eco Financas, Mercado e Eventos, Brasilturis, ParanaShop, Viajar é Simples, Portogente, Brasil Fashion News, Portal Eventos, Panrotas, Viagem Incrível, Coluna de Turismo, Vitrine Hotel, Embarque na Viagem, O Fluminense y Revista Travel, are some of the publications dedicating articles to promote Riviera Nayarit’s attractions.